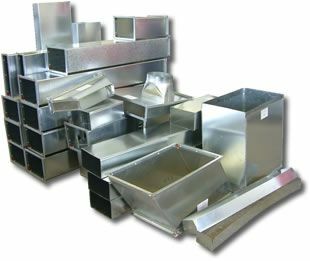 We perform custom sheet metal fabrication and manufacturing for the HVAC (Heating, Ventilation and Air Conditioning) Industry, primarily in residential / light sheet metal fabrication. If you can’t purchase it or find it in pre-fabricated form, (on the shelf at the store or from your supplier) then call us. We specialize in customized sheet metal.